Instead of trying to ban Uber Toronto should make it better with reasonable regulations while also giving the taxi industry a break. Toronto’s taxi industry wants a one-size-fits-all resolution of its feud with Uber, arguing that cabs and ride-booking companies should be governed by identical regulations. But there’s a fundamental flaw with that approach: these aren’t the same services, so it makes little sense to treat them the same way. The parties in this dispute are poised for a head-on collision this week when the city releases proposed regulations meant to level the race course on which traditional cabs and ride-booking firms, such as Uber, fiercely compete. 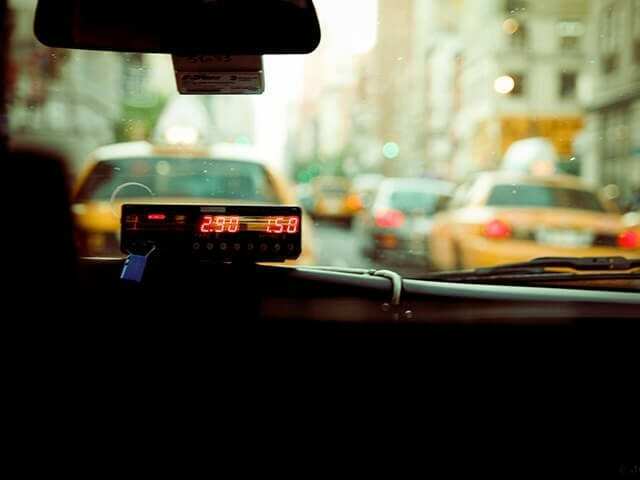 Two recent developments indicate that cabbies will very likely be disappointed. The City of Ottawa issued its own set of recommendations on Thursday calling for a two-pronged approach, granting the local taxi industry some regulatory relief but also clearing the way for Uber to operate under less-stringent rules designed specifically for ride-booking services. To help cabbies cope, Ottawa proposes to reduce its taxi licence fee and certain other costs imposed on the industry. Still, the head of Ottawa’s taxi union was reportedly so upset he walked out on a technical briefing for the proposed new system. “It’s not fair what’s happening here,” Amrik Singh, president of Unifor Local 1688, told reporters. But a dual approach represents the best way forward. It was also recommended in a 100-page report done by the MaRS Solutions Lab, in partnership with the Ontario government and the City of Toronto. Rather than trying to ban Uber, or subjecting it to the same as strict regulation as a conventional taxi brokerage, it makes sense to create new rules requiring it to operate in a fair and safe manner while also easing restrictions on traditional cabs, putting them in a stronger position to compete. Uber is just one manifestation of this phenomenon, with the popular app-based service connecting Torontonians to one of thousands of UberX drivers operating unmarked private cars instead of taxis. In a public relations push last week, in anticipation of new regulations, Uber boasted it had more than 500,000 users in Canada’s largest city. The company is obviously answering a significant public need. It would be unfair to riders, and probably pointless, over the long run, to simply ban it now. Going forward, authors of the MaRS report write that UberX drivers shouldn’t have to pay the same insurance that’s required of cabbies, but they should be obliged to carry some coverage commensurate with the level of service they provide. At the same time, commercial insurance for taxi drivers, costing up to $7,000 a year, should be lowered. Several other well-reasoned compromises are outlined in the report. It’s up to city staff to craft a system that best suits Toronto’s needs. They made a commendable effort last fall, delivering a sensible roadmap to much-needed regulation of ride-booking services. It aimed to have UberX drivers properly insured and also proposed that these companies conduct criminal record checks, run mechanical inspections, and maintain compliance records. Also recommended was a reduction in the costs, and red tape, beleaguering the taxi industry as well as more flexibility on fares. All the elements of a good system were there, but city council refused to approve it. Informed by new findings, courtesy of MaRS, and by examples set in other jurisdictions such as Edmonton and Ottawa, this remains the arrangement we’d like to see when city staff report to Toronto’s licencing and standards committee. With a bit of fine tuning, perhaps with some added breaks to help mollify the traditional taxi industry, it’s a winning approach.